Team performance starts with each individual and his or her ability to collaborate. You have an opportunity to teach individuals to be accountable, get past their own fears, be honest, and resolve conflict more quickly and openly. You can instigate true cultural change in your organization through a trust-centric framework that pulls everyone together. If trust is key to business success, having the right definitions and measurements is essential. 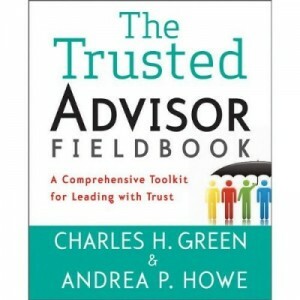 Trusted Advisor Associates has been working with two key concepts, The Trust Equation (TQ) and The Four Trust Principles, as critical frameworks for understanding trust and realizing how it can help your business succeed. Trust is the one truly sustainable competitive advantage in business, yet all too often it is overlooked, ignored or misunderstood. At Trusted Advisor Associates LLC we have studied, and taught, the science of becoming a Trusted Advisor for the last decade. We have learned that becoming more trustworthy – and gaining the advantages of moving from vendor to Trusted Advisor – can be learned. Free yourself to be a real leader — passionate, decisive and courageous. You can assess your own trustworthiness and develop concrete strategies for improvement; people will recognize your effort and reciprocate. Stop selling and start helping. The Trust-based Selling approach often sounds counter to traditional sales advice. It pointedly is not about closing, being aggressive, or guaranteeing that you’ll meet a customer’s every need. Trust-based Selling teaches you how to listen, understand wants and needs and approach customers in an open, transparent way. If you would like more information, please reach out to us.